The words had been carefully placed. Dropped like pebbles into water they rippled outwards in infinite circles. The repercussions would drag them all down. The chaos he had held in check for so long was breaking loose, and he knew without a doubt attempting to stop it now would simply churn the waters more. It was unfair, but once uttered, those words could not be taken back. Helpless, he watched as life collapsed around him. 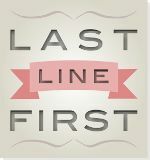 Posted in 75 words, Flash Fiction and tagged 75 words, disaster, life, Paragraph Planet, Ripples, truth, words. Bookmark the permalink. Wailing, roaring, burning and hissing, leaping shadows, reckless in his rage, he hurtled down. 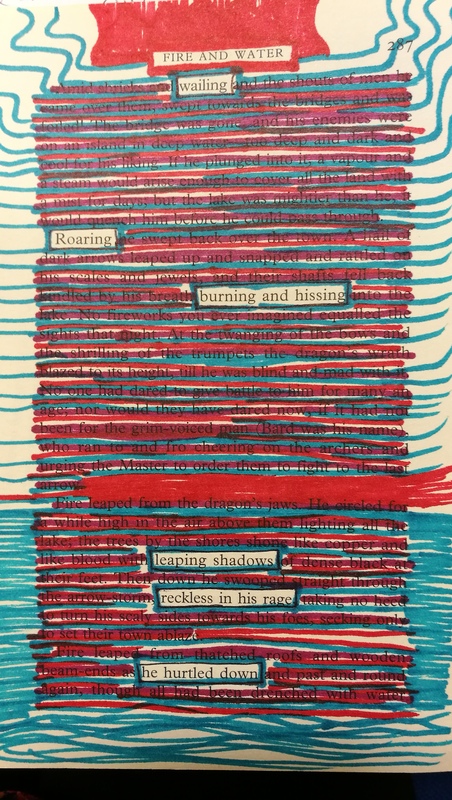 Posted in poetry and tagged blackout poetry, colour, fire, fury, passion, rage, words. Bookmark the permalink. Conversation. This is how it goes; I say something, then you say something. Ideally the thing you say would be related to the thing I said, but it’s possible that you’d respond with something random. The key then would be for me to absorb it and bounce it back to you, building a rally of somethings between us. Otherwise it’s just me batting words against a wall and that’s not a conversation, that’s a monologue. It’s a while since I had something on Paragraph Planet though to be fair it’s a while since I submitted too. This was dashed off in frustration at various people who either never respond or just never really listen… It was featured on the website on Sat 7th Jan 2017. Posted in 75 words, Flash Fiction, Guerrilla Writing and tagged conversation, games, silence, talking, words. Bookmark the permalink. Posted in poetry and tagged Found poem, Time, words. Bookmark the permalink. Her words are few and inadequate. She needs them to be certain. Her words must say what needs to be said. Once uttered they can not be taken back. Posted in poetry and tagged anxiety, certainty, communication, message, misunderstanding, talk, uncertainty, words. Bookmark the permalink.